This series will have Manning "travelling to visit pivotal figures in the history of the game." The National Football League was founded on August 20, 1920, during a meeting between officials representing the Akron Pros, Canton Bulldogs, Cleveland Indians, and Dayton Triangles in an auto showroom in Canton, Ohio. That building is now gone, but there is a marker noting this momentous meeting. Perhaps that will be one of the places Peyton Manning visits as part of his new TV show. 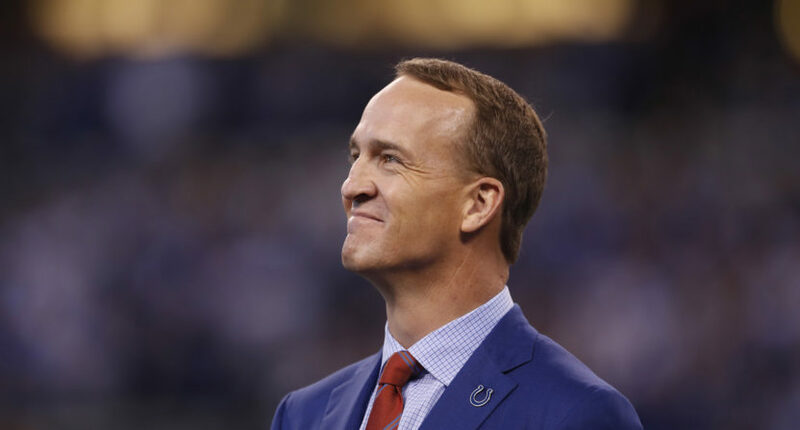 The NFL announced Monday that they are partnering with ESPN to produce Peyton’s Places, a 30-episode show hosted by former Indianapolis Colts and Denver Broncos quarterback Peyton Manning as he visits some of the most important people and special places in NFL history. The show will coincide with the 100th anniversary of the NFL, which is coming up next year. NFL announces they’ll launch a 30-episode series called Peyton’s Places, which will have Peyton Manning traveling to visit pivotal figures in the history of the game. There are no other details known at the moment regarding dates, who Manning will be meeting with, and where he’ll be going. However, there are certainly a few givens, such as his ending up in Canton at some point. One question the announcement does answer is exactly what Manning will be up to for the foreseeable future. One of the hottest free agents in sports broadcasting, the speculation about where he would end up has intensified in recent months. In March of last year, it was reported that ESPN and Fox were bidding against one another with the price reaching heights of $10 million were he to sign with one of them. He reportedly rejected an offer from ESPN to join the Monday Night Football booth and then rejected Fox’s bid to join their Thursday Night Football team. In October, it was announced that Manning would host and write an NFL version of Detail, the ESPN+ in-depth show produced and hosted by Kobe Bryant. That fueled speculation that he would eventually end up working on ESPN, a rumor that intensified when Jason Witten decided to return to playing football rather than calling it. Turns out, the assumptions were both right and wrong. Now, it’s possible that Manning could pull double duty and also work in the booth during the upcoming NFL season. But Manning clearly seems to be cherrypicking the projects he wants to work, and he may not want to have to commit to a rigid TV schedule in such a high-profile position. MNF would love to have him, we’re sure, but they’ve also got other options. And depending on the details regarding Peyton’s Places, there might be some appearances planned anyway.